Join us at our next webinar! Click here to signup! Finding the best estate planning lawyer, that you can also trust to guide you through the estate planning process, is crucial. These decisions will affect you and your family for years to come. It can be difficult to find a lawyer who is the right fit for such an important task. You need a lawyer who has a comprehensive understanding of the various issues involved in putting together an estate plan. Elements of an estate plan can include things like minimizing income and estate tax liability, making sure your children are raised by the person or persons you are comfortable with, and inheritances. An estate planning lawyer should have extensive expertise beyond the preparation of a last will and testament. A last will and testament is a good fit for some, but one size does not fit all. 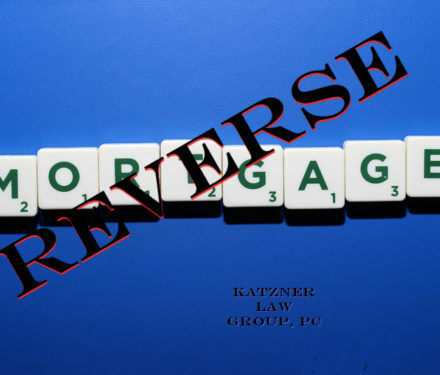 Attorney Gabriel Katzner is familiar with not only last wills and testaments but also with complex estate planning, such as revocable and irrevocable trusts, asset protection and drafting of trust administration and probate. Estate Planning is all we do. Experience Matters. Opting to work with an attorney that works in several fields of law, rather than someone who has extensive experience in estate law, could cause you and your loved ones to lose a great deal of money. Even worse, working with an inexperienced estate lawyer could even fail to put a valid estate plan in place at all. If you have tried to seek advice from a general practitioner, or worse an online resource trying to sell you on a one-size fits all approach, chances are, something is lacking in your plan. Estate law is a nuanced area of the law. It is an area of law that requires constant education and time to stay abreast of all the latest information. You and your family deserve an attorney that has dedicated their life to practicing and learning all about every aspect of estate planning. Although putting an estate plan in place is transactional, meaning that it could be limited in visits, estate lawyer Gabriel Katzner, strives to form lifetime relationships with his clients. Life changes fast, and though the estate plans we put in place for clients are certainly designed to grow with them, it is imperative that we see each other every 2-3 years. These bi-annual meetings are simply an opportunity for us to catch-up and make sure that the plan we put in place for you currently is still a good fit for the future. Our mission statement is “we deliver inventive and effective solutions and counsel.” We did not arrive at this mission statement overnight, but rather it took nearly a decade of client-focused hard work and every word of it has meaning. Inventive solutions means that we understand that when it comes to estate planning one-size does not fit all. Rather, each estate plan must, if it’s to be worth the paper it’s written on, accomplish a client’s goals and address their concerns. Each of us and our families are unique. Each estate plan we put in place is unique and that is the foundation of what we do. A lawyer who understands your unique needs can translate this into meaningful strategies and tactics for your future. These strategies and tactics will give you the peace of mind you need in case something ever happens to you. Your clearly articulated estate plan will ensure that your loved ones do not have to worry about anything unnecessary in the wake of a difficult situation. Some of our clients are parents of young children. 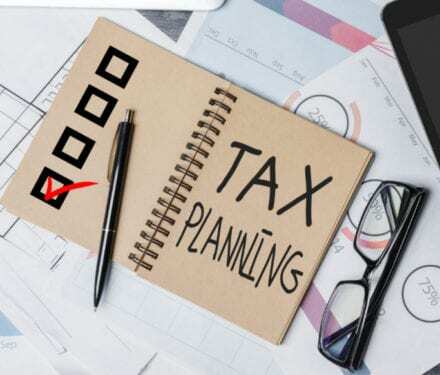 These parents aren’t typically concerned with estate taxes but they are concerned with whom will care for their children after they are gone. Other clients have adult children with substance abuse or marital issues. Their concerns have evolved from guardianship to ensuring that the money they leave their loved ones does not cause more harm than good. Still other clients have accumulated great wealth and what they care about most is ensuring that some litigious third party does not take from them what they’ve worked a lifetime for. For each of these clients, arriving at an effective solution, one that accomplishes their goals and addresses their concerns, is of paramount importance to us. With the ever-shifting nature of state and federal estate law, tax issues, and other relevant laws, you need someone who stays up to date on all of these topics and will help to keep you informed not just today, but well into the future. Forming a relationship with a knowledgeable and caring estate planning attorney will help you to put together a plan that serves you for many years to come. 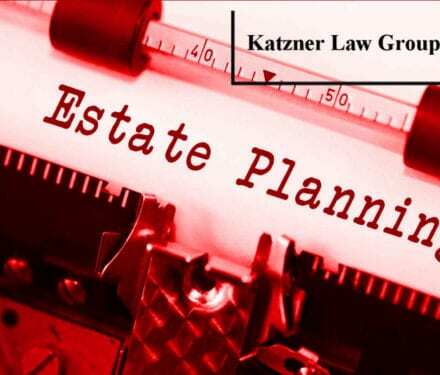 Gabriel Katzner brings a reputation for working hard, with passion and compassion, for individuals and families who need assistance with their estate planning. Gabriel brings more than 17 years of experience to his legal career: first successfully completing the certified public accounting examination, next working at an international law firm and finally branching out and opening his own firm. He brings a personalized approach to the table that considers your unique needs when putting together an estate plan. Our clients are treated like family, not just another legal matter. 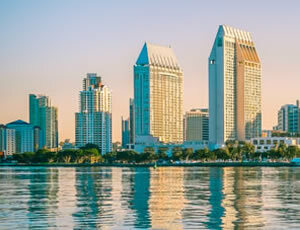 There’s no shortage of estate planning attorneys in San Diego and New York City. Let me take this opportunity to explain some of the reasons why Katzner Law Group is different. "I'm a parent to my 7-year old son and 5-year old daughter. I therefore know what your estate planning concerns are. As a parent, my concerns align with yours"
"It's easy for an attorney to say 'I'm great, my client's think the world of me.' But is their statement true? Please check out my public reviews below and otherwise online and see what clients truly think of me." "I like to say that I'm 'responsive to a fault.' You'll be pleasantly surprised when I respond to your weekend email in an hour. I will also schedule time to speak with you very early in the morning or late in the evening, if that suits your schedule. I block out time each day to return emails and phone calls and it's rare when I'm not same day responsive." "All of the estate planning work I do is on a flat fee basis. This makes you comfortable and it makes me comfortable knowing we'll never have to deal with a fee dispute." "Since graduating Fordham Law School in 2002 I've been a practicing attorney. My first experience as an attorney was in "big law". Since 2009 I've had my own practice. While I'm not one to say 'I've seen it all', I'm confident saying that I've dealt with almost every estate planning fact and pattern. I feel that I do a great job tailoring the estate plans for my clients to each of their individual goals and concerns." "I understand that meeting with an attorney to discuss estate planning is not everyone's idea of a great time. I like to think that I bring a human touch and sensitivity to estate planning while at the same time making sure the plan we put in place for you does all it must to protect your family and loved ones." We’re humbly one of the nation’s most loved estate planning law firm’s. Can I just save money on estate planning and do it myself on the Internet? LegalZoom seems like a great and cheap option. Like many things in life, estate plans vary widely in their quality and effectiveness. The LegalZooms and will-mill law firms provide very basic form documents. Merely cutting and pasting your name and some personal information will likely leave big holes in your estate planning. Sometimes people who do not understand wills and trusts are unknowingly given a will when a trust would have been a better choice, or vice-versa. This routinely occurs when the client did not get the proper advice regarding the benefits and disadvantages of each one. These clients are given a product that served the company or attorney best, not what was best for the person needing estate planning advice. As part of our practice, we are often asked to review estate plans created by other companies or law firms. Some clients thought that they had a trust that would allow their estate to avoid probate, when in fact they actually just had a will. The lawyer just told them “yes, this will avoid probate.” These clients had asked for a trust and were told they had a trust. Sadly, they find out after my review that they had a will with a testamentary trust that only goes into effect after their death and does not actually avoid probate. I have had clients come to me with plans that do not protect the money their children inherit from full public disclosure. This puts loved ones assets at risk. Leaving a lump sum of money to children, especially young children, is asking for trouble (or the money to be spent quickly or spent on wasteful things, at best). The decision whether to do your own estate plan is a personal one. I’m not a hard sell attorney. I can only advise you that the number of professionals, doctors, accountants, and other lawyers who do not practice estate planning who we do estate planning work for is large. These professionals are aware of the intricacies that estate plans contain and how sometimes in life we need to pay money to someone to properly protect ourselves. For example, life insurance premiums, homeowner’s insurance premiums, or legal fees for an estate plan. All money spent to plan an estate is money spent to protect you and your family. My clients ask me to do their estate plan because they believe that using an online provider, a cut-rate attorney or doing it themselves would leave too many holes in their estate plan and expose their loved ones to issues in the future. What are the important estate planning decisions if I have minor children? Putting aside guardianship, which we discuss extensively throughout the site, if you have minor children, one of the most important decisions you will have to make is when, how, and under what circumstances your children will receive the money you leave for them. If a parent dies without a trust in place, a judge would decide how much of your assets would go to them. The judge would rule that whatever amount of money your children are going to inherit would be inherited outright at the age of majority, which is 18 in New York. Take a trip down memory lane and think about 18 year old you. While most of us were nice young men and women, without drug or other serious problems, we were all certainly incapable of handling a lump sum of money falling in our lap. At best the money would be spent and wasted quickly. At worst it would lead us down the road to ruin. When you have taken the time to put a trust in place you get to decide for yourself, as opposed to a judge making the decision for you, when, how, and under what circumstances your children will have access to their inheritance. Maybe you want them to get everything outright at age 18, which we certainly would not recommend. Maybe you want access to the inheritance triggered by certain life events such as graduating college, turning a certain age, getting married, or having children. What matters is the decision is yours and not that of a judge who doesn’t know you or your family. You don’t see mention of a will above. That is because with a will all of the information, such as when and how much money your children will inherit, would be public. There are predators who review probate filings just looking for someone to rip off. These are not necessarily violent criminals, but rather sophisticated scam artists who know how to take advantage of the young and naive. A properly drafted trust keeps this information private and allows your estate to avoid the time-consuming probate process. I have a will. That means my family avoids probate upon my death, right? No! It means exactly the opposite and this is one of the biggest misunderstandings I see (and why we are by and large a trust based practice). If you have a will, rather than avoid probate, it literally guarantees that your estate will need to go through the probate process. Wills get probated, that’s all there is to it. That being said, as much as we espouse the benefits of trust based planning throughout our practice, having a written will is certainly better than having nothing at all. In the absence of a written estate plan, the court decides everything about your estate: who the personal representative is; who receives your assets; who the guardian is of your minor children; and when they receive those assets. These are some serious, life defining, decisions. The court is the last one that should be making them on your behalf. When you have a written will, you get to decide who you would want as your personal representative, who the guardian of your minor children should be, who you want to receive your assets, when you want them to receive those assets, as well as any restrictions and protections you want to place on receipt of those assets. This is particularly important when you have minor children. There are downsides to a written will that a trust based plan avoids. The fact that your estate will still go through the probate process which means it will take 9-18 months, cost 3%-8% of the gross estate and be 100% public thereby exposing your loved ones to predators and scam artists. However, you at least get the benefit of knowing that your wishes are being met and everything is not being left in the hands of a judge. 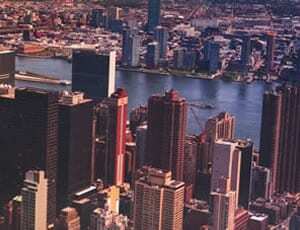 Is there any way to avoid or reduce New York estate taxes, the “death tax”? Yes, there are ways to avoid or reduce estate taxes, commonly referred to as the “death tax”. In New York, for someone that passes away after April 1, 2017, estates smaller than 5.25 million dollars, including life insurance, are not subject to the death tax. There are ways to effectively double the $5.25 million exemption if you are married and use a special kind of trust. Many people, most really, fail to take advantage of this. New York has a bigger estate tax problem than most because of what’s commonly called the estate tax “cliff.” In most states the estate tax is treated as such: the exemption is let’s say $1 million. Your estate is worth $2 million. You are taxed on the amount you exceed the exemption. So, in our example you would take the $2 million estate and subtract the $1 million exemption and pay tax on the $1 million difference. In New York, for someone that passes away after April 1, 2017, if their estate is worth greater than $5,512,500 their entire estate would be subject to estate tax! This is a draconian result and shows why it’s so important to do whatever is legally possible to avoid the New York estate tax. If you would like to avoid or reduce the New York death tax, give us call at 646.736.7539 to schedule a free consultation to discuss protecting what matters most to you. How Much Money, Real Estate or Assets Can I Gift in 2017? The rules for gifting change each year, and they have changed substantively since the American Taxpayer Relief Act. If you are wondering about gifting money, stocks, bonds, real estate, business interest, or other assets to your children, grandchildren, or others you have come to the right place. I’d first like to note that the gifting laws can be more complicated than they at first appear. Gifting can have unintended consequences. For example, there are different rules for gifting money to your young child than your elderly parent in a nursing home. Gifting money to a young child is usually very easy and straightforward with no unintended consequences. Gifting money to a relative in a nursing home can have unintended consequences such as making them ineligible for Medicaid. So use the information here as a guide and get more detailed information from an estate planning attorney based on your personal circumstances. Gifting in 2017: Annual gift tax exclusion – inflation adjusted to $14,000 per person. This amount can be given to a child, grandchild, or other person. Furthermore, if you are married each spouse can gift this amount to each desired recipient. This means that a married couple can together gift $28,000 per year per individual recipient. If one spouse has greater assets be sure to ask your CPA about split gifts and whether or not you need to file a gift tax return. Lifetime Exclusion (unified credit): This is a topic of much confusion. In addition to the annual gift tax exclusion discussed above, each person now also has a $5,490,000 lifetime credit which can be used to make gifts to children and grandchildren and/or their spouses. You will be required to file a 709 gift tax return when making gifts larger than the $14,000 per year annual gift tax amount but you can use your lifetime credit. So what this means, and where the confusion lies, is let’s say you gift $25,000 to your grandchild. Since your annual gift tax exclusion is $14,000 you’ve gifted $11,000 in excess of this amount. But you don’t necessarily pay taxes on this $11,000. Rather, the $11,000 is simply decreased from your $5,490,000 lifetime credit. Gifts of assets without a clear value, such as real estate or business interests, may require an appraisal. If you are considering a lifetime gift, especially one in excess of your annual gift tax exclusion, you may require the advice of legal counsel. Gifting can be effectively used to reduce estate taxes in certain circumstances and should always be coordinated with your larger estate plan. The advice of counsel can therefore be both valuable and can save you and your heirs from later problems that might cost much more to correct.